OpenSim land area grew by the equivalent of 3,905 standard regions last month, a new record high of 88,225 regions. 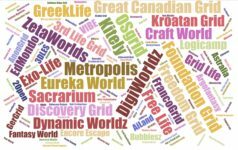 This was despite the fact that several large grids have stopped publishing land area stats, including InWorldz, Great Canadian Grid, and The Adult Grid. The biggest gainer was OSgrid which added 1,404 regions, GreekLife with 857, Kitely with 228 and Atek with 164 new regions. Active user numbers went up by 275, to 32,384. Growth was depressed somewhat by the closing of ZanGrid, which had 342 active users last month. 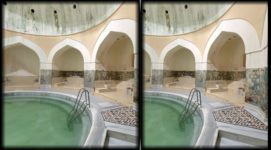 In addition, OpenSim Life has stopped publishing their numbers. 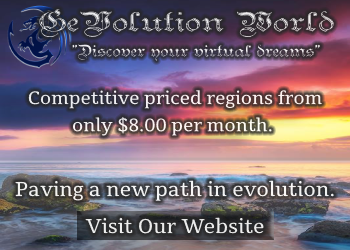 This month, OSgrid remained the largest grid with a total of 30,350 standard region equivalents, followed by Kitely with 17,111, Metropolis with 6,989, Atek grid with 6,270 and DigiWorldz with 5,253. Scroll down to the bottom of this post to see the list of top 40 grids by land area. Kitely was also OpenSim’s most valuable grid this month when it comes to bringing in new users. It reported 1,361 new accounts this month, followed by InWorldz with 1,149, Emilac with 840 users, EdMondo with 607 and Island Oasis with 597 users. 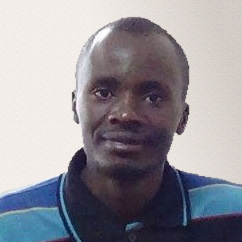 Emilac and EdMondo are both education-focused grids, and regularly bring in large numbers of new users every semester. These stats do not include most of the mini-grids running on the DreamWorld distribution of OpenSim, or private company or school grids. According to the latest DreamWorld stats, more than 2,521 mini-grids have been created with this installer alone so far, out of which 38 percent or 959 are hypergrid enabled. You can also add your grid in the stats if it is not being crawled by OutWorldz. OutWorlds also provides OpenSim users with free mesh items, OARs and free seamless textures that you can download and use on your grids. GreekLife saw the most growth in active user numbers in the month with 677 new active users followed by Eureka World with 503 users and Genesis MetaVerse with 314. Virtual Life EU had 196 and Kroatan grid closed the top five spot of the most active grids with 166 users. 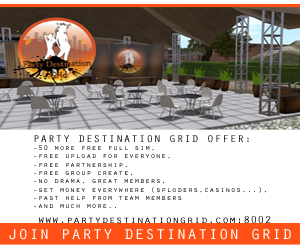 Of the top 25 most popular grids, only DreamNation was not hypergrid-enabled. In fact, hypergrid-enabled grids accounted for 96.4 percent of all reported active OpenSim users on the public grids. However, one large closed grid, InWorldz, no longer publishes its active user numbers. The Hypergrid Business database currently tracks 1,271 grids, of which 267 were active this month. OutWorldz has another system for tracking grid counts, and currently has a total of 2,521 grids. This is up by 339 from last month. The total tally includes 17 percent of DreamWorlds or grids created with the DreamWorld software that allows users to easily create and run grids at home as well as to connect to other OpenSim grids. Of the 2,521 grids, only about 379 grids are online, of which 56 are hypergriddable. The test to determine whether sims are online runs every hour and offline grids tested every four hours. Kitely added close to 300 new products this month and now has a total of 10,913 product listings, containing 20,634 product variations, of which 15,855 are sold with the export permission. Kitely Market has delivered items to 228 OpenSim grids to date, up by five grids this month. Grids registered a nine percent increase in spending on the VirTec network compared to last month. This was the largest increase since May this year. VirTec is a vending machine network owned by DigiWorldz which can be used to create and manage sales across many OpenSim grids, both on and off the hypergrid, and supports multiple currencies. 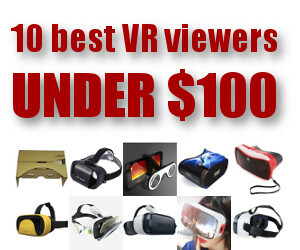 InWorldz stayed on the lead in terms of expenditure on the network followed by DigiWorldz, Virtual Mecca, Baller Nation and Genesis Metaverse. 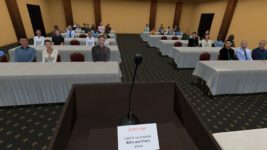 OpenSimulator Community Conference, an annual event for OpenSim developers and the user community, will open doors next month from December 9 and 10 on the OpenSimulator Conference Center grid. The event will focus on the latest software releases, visions for the future, and technologies or content today that are shaping the future of the OpenSim platform. The organizers are still looking for volunteers, presenters and sponsors. The event will feature short presentations, panels, performances, and workshops. The Hypergrid International Expo grid just completed its first load test last Wednesday, November 8 in preparation for the The Hypergrid International Expo that happens on December 16 and 17. The expo will feature presentations from various grids, conference and training sessions. The multi language conference will feature presentations in French, German, Italian and Spanish, with English translation. The grid is dedicated to the Expo courtesy of Phaandor Pertwee and has only five regions. Metropolis grid announced this week that they have deleted several freebie regions that were violating copyrights, including Adachi that had “repeatedly violated” the grid’s Terms of Service. The grid has now decided to delete Adachi owner’s inventory on the grid and issue a ban on grid usage, grid founder Lena Vanilli wrote in a Google Plus post. The action will send a strong signal that the need to take serious copyright issues and to respect grid Terms of Service that discourage infringement, although it would not be received well by some people, read the statement. Adachi has been at the center of copyright violations and related controversies in the recent past, with complains against it flying from every side. Metropolis grid, last month, called upon anyone with complains about copyright infringement on the grid to send an official complain. Nine other regions are also associated with the same IP and since Metropolis must assume that there could be further damage from the IP, they might delete all the regions associated with that IP to prevent further damage, unless the company hosting Adachi region sends Metropolis a statement saying that they have discontinued hosting the region from their server as that would assure Metropolis that the IP would not pose further risk. The Orchid Height community, which is a community of former ZanGrid residents, will open its doors to public as an enclave on the DigiWorldz grid. The grand opening will be at noon Pacific time on Saturday, November 18. “We are still building up, but the main region Orchid Heights is ready to go and for this event we like to celebrate our landing in DigiWorldz,” former ZanGrid owner Suzan Moennink told Hypergrid Business. ZanGrid closed last month after half a decade of OpenSim service as the owner went for further studies. Those wanting to join the new Orchid Height community group can create an account at the website and when they login to OpenSim, they will land on the Orchid Heights welcome region and not the DigiWorldz welcome region. “As a grid within a grid we also will offer regions to people who would like to own a region,” she said. “They will have full owner ship of those regions.” Orchid Heights will promote those regions on their webpage and on social media. The community is formed by a group of people who were formerly at ZanGrid and who wanted to stay together and were searching for a new home grid. The latest release of Alchemy OpenSim viewer released a few days ago features Gloebit’s proposed currency extensions for the first time. Developers of Singularity and Alchemy viewers last month confirmed they would implement the module although they said they would need to do some changes on the patch code. The patch, which was developed by the Gloebit team led by its CEO Christopher Colosi, will bring multi-currency support in OpenSim and eliminate the need for Gloebit users to do complicated coding and configuration for their grids and regions to support various money modules. Phoenix Firestorm project manager Jessica Lyon also said in a post that allowing Firestorm users to purchase Gloebits currency on multiple grids via the viewer was a big step forward. However, the team needed some legal advice before they can go ahead with the implementation of the patch in the Firestorm viewer. 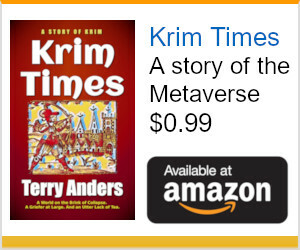 For example, would be any complications for Firestorm if an unethical OpenSim grid owner exploited users’ money on their grid while the user is purchasing currency, or when the grid collapses, and the user takes the grid to court? “And while we would most likely not be held accountable since we can prove we had no control over or interception of said transactions, we would still have to prove it and in doing so endure legal costs, travel expenses and a lot of headaches,” she said. The full proposal of the patch can be read here. Sacrarium Grid region Sensation City will host the Sensation Black Millennium dance on November 23. Entertainment will be by Hard Techno and Hardstyle. The small village is located on mountains and overlooking the sea so you get good sea views as well as enjoy good natural scenery. Participants can also visit the beach where there is a store offering freebies, a club, Christmas market, and entertainment with DJs. The hypergrid address is: sacrarium24.ru:8002:sensation city. 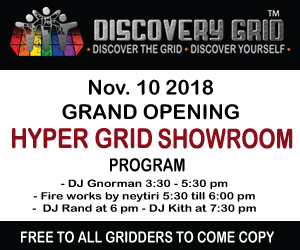 Fifteen new grids were added to our list this November, including GlobusGrid, Moons Paradise, Ausgrid, DGridMen, VartownGrid, Imperial World, Hidden Oasis, Kokomo-World, Krabat Grid, Rhia’s Hideaway, Sunvibes Grid, SocialMouse, VirtualHarmony, Virtuality Grid, and the Hypergrid International Expo grid. The following eight grids were marked as suspended this month: Avi Globe Grid, Blackswan, FranEsti Grid, New Zealand Virtual World Grid – Auckland, Rissland, SLFDGrid, Virtual ABDL Grid, and Virtual Dreamz. The list below is a small subset of existing OpenSim grids. We are now tracking a total of 1,271 different publicly-accessible grids, 268 of which were active this month, and 197 of which published their statistics.